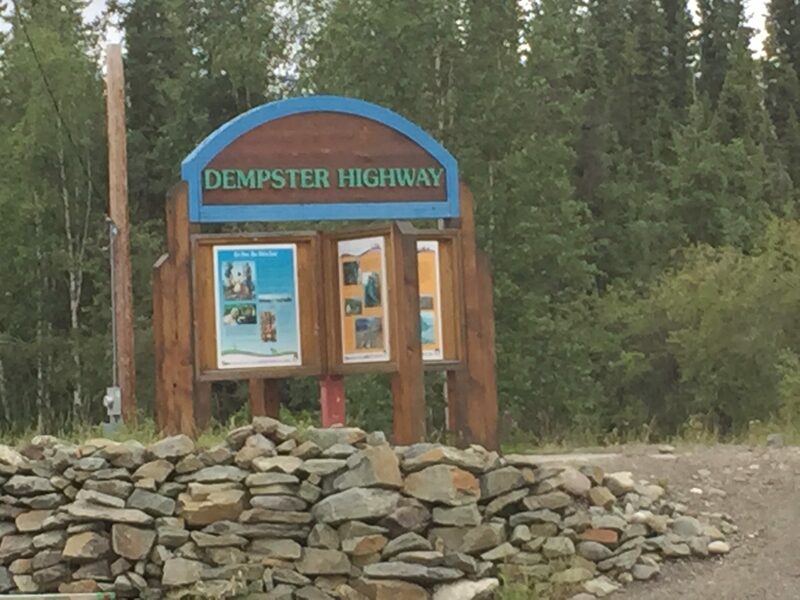 Just outside of Dawson City is the junction with the Dempster Highway. A chip-sealed (Shale) road that is open year round. It’s the only road to the Arctic in Canada. It’s like the Haul Road in Alaska only with a lot less traffic. About 1 1/2 hours from Dawson City is the Southern boundary of Tombstone Territorial Park. In the middle of nowhere they built an interpretive center and a 36 site campground. This is the nicest and best laid out campground I’ve seen. Typical of Canada’s campgrounds, it has spacious sites, pit toilets, access to water, firewood, and a cooking tent (this is after all deep in bear country). We have very cute neighbors. Red squirrels, rabbits, camp robber jays, marmots, and quiet campers. Arrived in rain but it soon cleared up and we had a beautiful evening. Since we are farther North than Anchorage, the daylight here lasts longer. It’s Midnight and the sun is still shining brightly in the sky. Sun will set around 1230 and we’ll get about 4 hours of twilight before sunset.